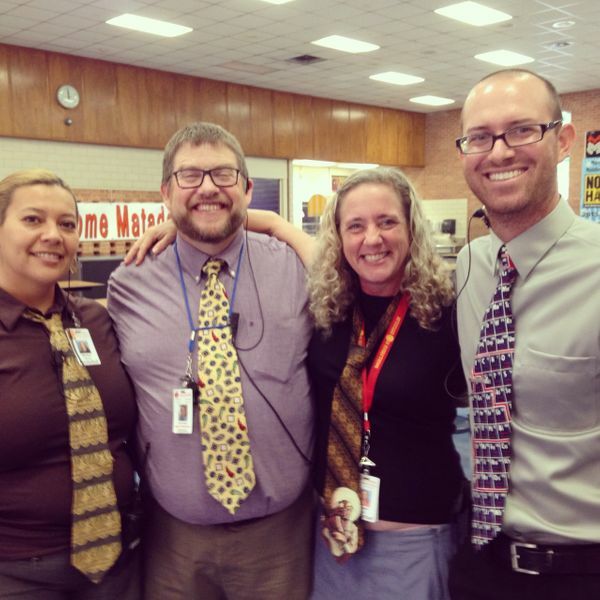 So many great things going on in the classrooms today, I couldn't choose which activity to feature, so I wimped out and here's administration supporting our Fun Friday 'Ugly Tie Day' event. This is me with the other assistant principals and the 7th grade counselor. Thanks to everyone who wore an ugly tie today! It was great fun laughing at each other, comparing who had the 'ugliest'.